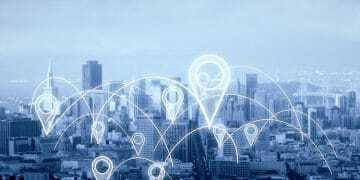 However, the source, an important industry official, although still choosing to remain unidentified, told Sports Handle, he believes the information about a deal is accurate. To our knowledge no deal was announced at G2E and as of Oct. 12, no deal — the substance of which is more important than timing — has not yet been announced. 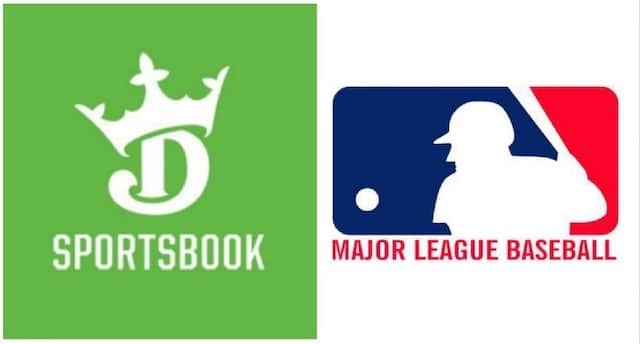 A major collaboration between Major League Baseball (MLB) and DraftKings, the leading Daily Fantasy Sports (DFS) operator, is expected to be a part of a series of major announcements at next week’s Global Gaming Expo (G2E) convention in Las Vegas, Sports Handle has learned. A source with knowledge of the negotiations says DraftKings will announce plans for a new, comprehensive sports wagering app that will include the ability to stream MLB games. The source says that, at first, the app would only have DFS play options available, but would soon allow full-fledged, single-game betting as well — in legal, regulated markets such as New Jersey, where the DraftKings Sportsbook was first to market in August with its online sportsbook and mobile apps. Neither DraftKings nor MLB was available late Friday to comment on the move that would create a groundbreaking synergy between a major sports league and a sports wagering outlet. Additionally, Sports Handle was told that the new DraftKings app would provide access to sports commentary, sports wagering information and regularly scheduled programming from a wide variety of well-known local radio personalities including Mike Francesa, host of a highly-rated sports talk show on WFAN in New York City, the nation’s largest radio market. Francesa, after a brief retirement, returned to the New York City airwaves in April and has created his own app, a podcast and a presence on Twitter. Other leading local sportscasters nationally are expected to be available on the still-under-development DraftKings app. DraftKings has been more deliberate than many of its competitors in establishing its presence in the burgeoning national sports betting marketplace. In addition to its footprint in New Jersey where it generated roughly $20 million in betting handle and $3 million revenue in August, the company also has a deal to run a sportsbook at the Upstate New York del Lago Resort & Casino, once enabling legislation comes to fruition in the state. Meanwhile DraftKings’ DFS business remains strong with millions of participants and their vital email addresses that go with them. The company made major national news just this week with the announcement that it hired away veteran Las Vegas oddsmaker John Avello from Wynn Resorts, reportedly to act as chief linemaker and, according to Sport Handle sources, establish an “in-play” trading operation in Las Vegas that would service its betting outlets nationally. DraftKings has had a working relationship with MLB for many years and a majority of MLB teams receive significant sponsorship money from the DFS kingpin in the form of media sponsorship and signage at various ballparks. In April, prior to the Supreme Court’s decision striking down the 1992 federal law banning full-fledged betting outside Nevada, ESPN’s Darren Rovell and David Purdum reported that MLB and the NBA was looking to divest ownership stakes in DraftKings, as well its main competitor, FanDuel. The status of MLB’s ownership stake is not public knowledge. A major ad campaign to accompany the DraftKings-MLB deal is expected to soon follow next week’s announcement, according to the Sports Handle source. DraftKings had previously been an omnipresent advertiser on television sports programming until it came under scrutiny when law enforcement officials in numerous states in which it operated determined DFS activity was tantamount to illegal sports betting. 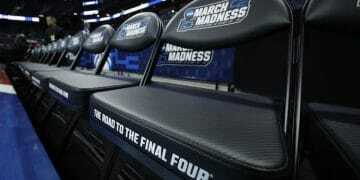 That debate is likely to gradually dissolve as numerous state governments are expected to join the growing number of states legalizing sports betting in light of the Supreme Court decision. Industry observers note that as more and more states reject the notion of paying the sports leagues a percentage of the money wagered on its games in the form of so-called “integrity fee,” the DraftKings-MLB deal may be part of the realization by the sports leagues that working in concert with the bookmaking companies may be a more profitable and realistic path to follow. In July, the NBA and MGM Resorts International struck a three-year, reported $25 million quasi-marketing deal making MGM the “official gaming partner” of the NBA. In the non-exclusive deal, MGM obtained the rights to use the NBA’s official NBA league data as well as NBA logos and marks in connection with its sports betting products. Alongside the NBA and PGA Tour, MLB has been active lobbying in numerous states, so far unsuccessfully, for lawmakers to require state-licensed sportsbooks to use the leagues’ official data on “commercially reasonable terms” to grade any wagers not determined by a final box score. Sport Handle will update this story as more information becomes available. Follow Sports Handle on Twitter @sports_handle.